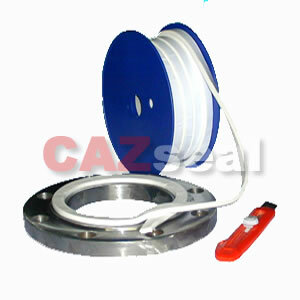 CAZ TA 450 is an inorganic sealant for static applications made of 100% PTFE (Teflon). 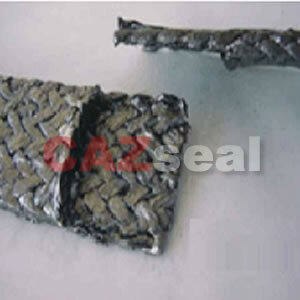 A unique process converts PTFE to a micro-porous fibrous structure, resulting a sealant with an unsurpassed combination of mechanical and chemical properties. It is supplied with a self-adhesive strip for easy fitting. 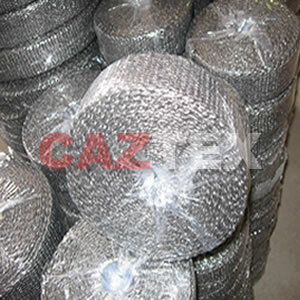 Braided Expanded Graphite Tube Style TU240 is a braided tube, made of expanded graphite yarn, formed into a strip/tape with rectangle and flat section Style TU240S -----TU240 with a self-adhesive-film on one side For easy fitting Style TU240E ----- TU240 Reinforced with inconel wire The Inconel wire reinforcement provides greater mechanical strength. Style TU240ES ----TU240E with a self-adhesive-film It shows good thermal resistance, chemical resistance and high elasticity. Corrugated Graphite Tape--It cut from pure graphite roll by exact lathe, and then press it with corrugated profile by special calender. 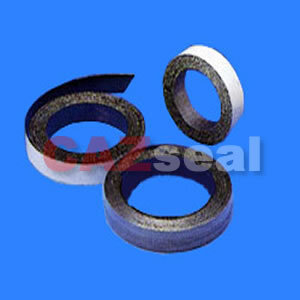 Style TA440CS is corrugated graphite tape with self-adhesive coating.With corrosion inhibitor, are also available on request.